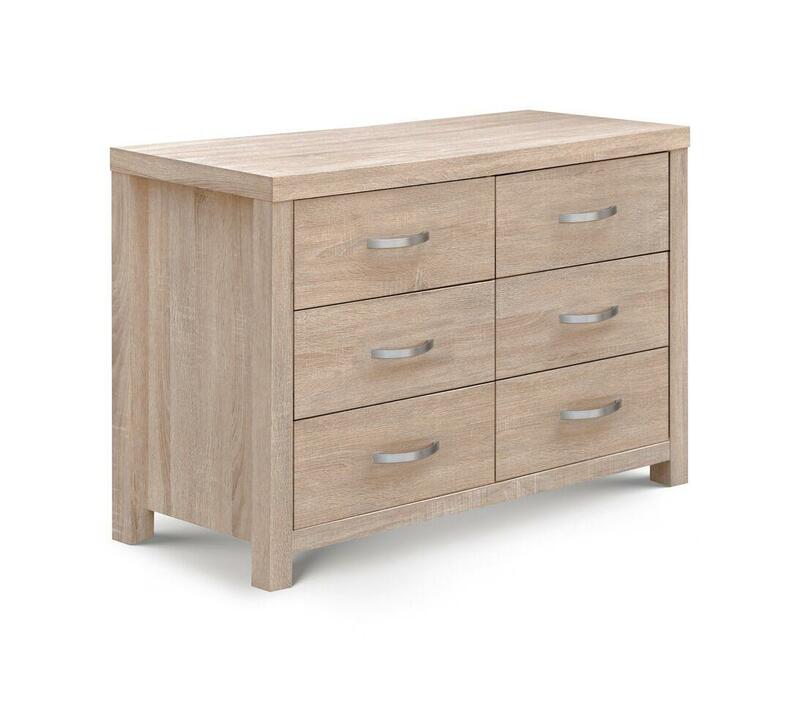 The six drawer wide chest, with subtle curved brush steel handles, finished in high quality Sonoma Oak foil is the perfect addition to any room. This chest can also be used as a dressing table. The interior of the drawers are finished with matching Sonoma Oak foil, and run smoothly on metal runners.